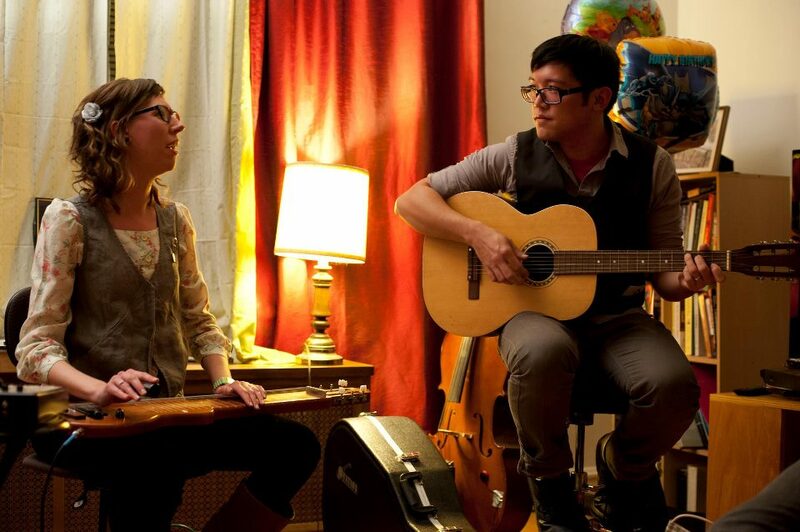 (Chris Lin and Kayce Bayer) We're a country-cabaret duo on ukulele/guitar and lap-steel/glockenspiel/banjo-tar, playing sweet silly originals and folky-style cover songs. 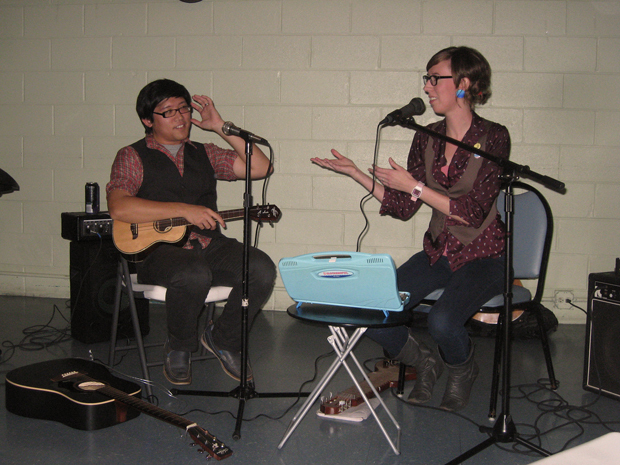 Kayce also used to play with Les Chouettes in Memphis, TN (where they once shared the bill with the Mountain Goats and Calvin Johnson). She spent her early singer-songwriter days in Tallahassee, FL, playing at coffee shops and alternative art spaces.